Cut a piece of heavy black cardstock to 8 1/4 x 8 1/4". Score on each side at 2 3/4". 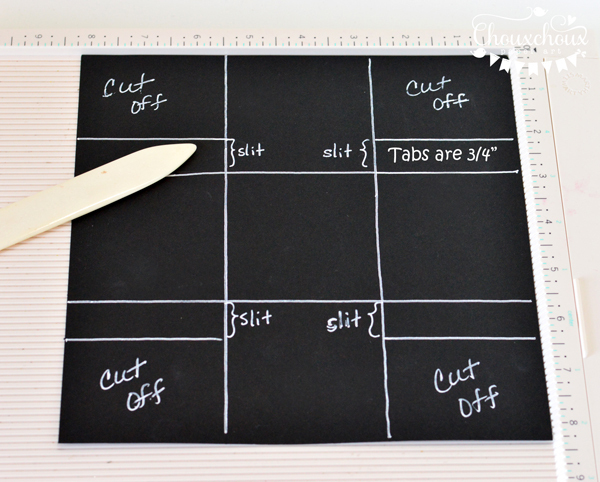 Make 3/4" tabs as shown above and cut off the corners. Angle the tabs so they don't show above the top of the box. I used a Signo pen to draw the face. I really like this pen! You could free hand the whole face, but I used a guide for the eyes. 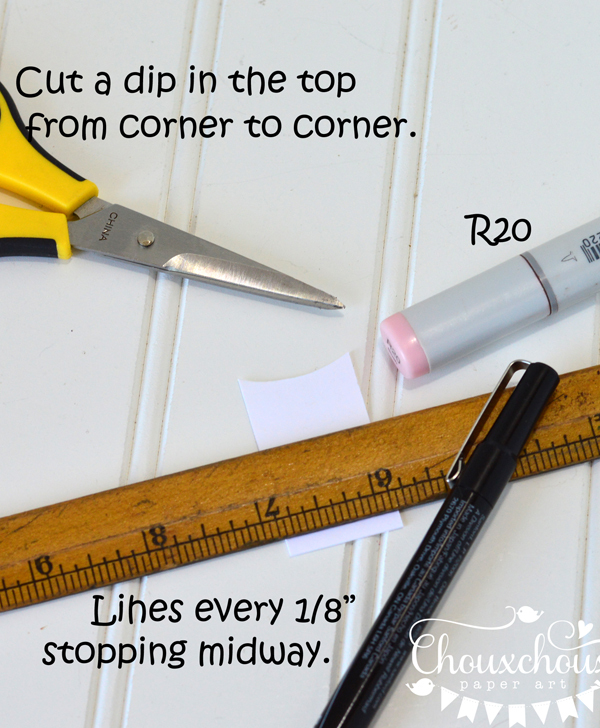 You could use a die cut circle, a small lid, a button... I used the inside of the circle die. I practiced the face a couple of times before I drew it on my box. 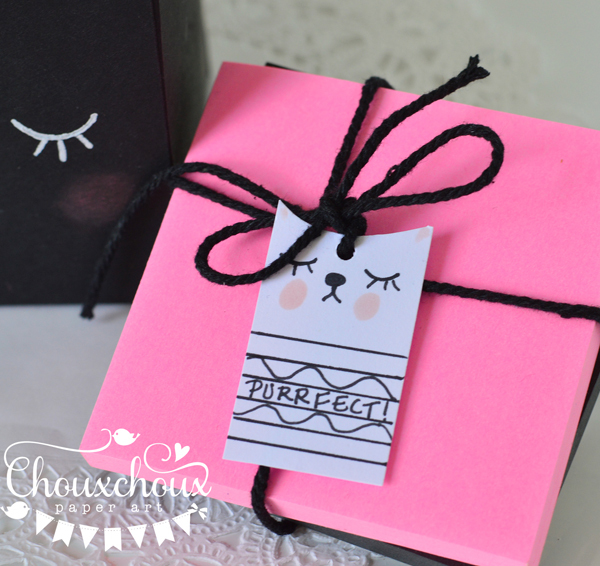 One little tip: Draw the middle line of the eyelashes first. Make the ears: there may be an easier way, but I wanted a big area to glue the ears to the box. If the triangles stick out on the side, just trim them off. I like the addition of a little pink to the ears and cheeks. You can do this before or after you glue the box together. I did it both ways and it didn't matter. 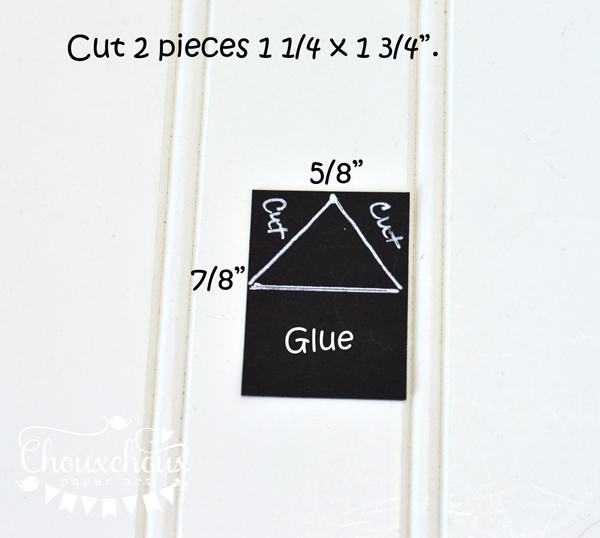 Cut a piece of white cardstock to 1" x 1 3/4". I free handed the face - it's so small that it was way too hard to use a guide. 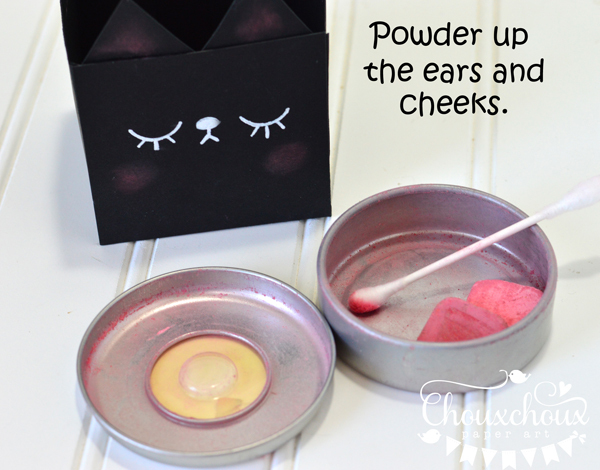 If you're little dip to create the ears is slightly lopsided, all the better! You could draw hearts or whatever you wish instead of lines on the body. Do you think I'll remember to put my glasses back in the container? 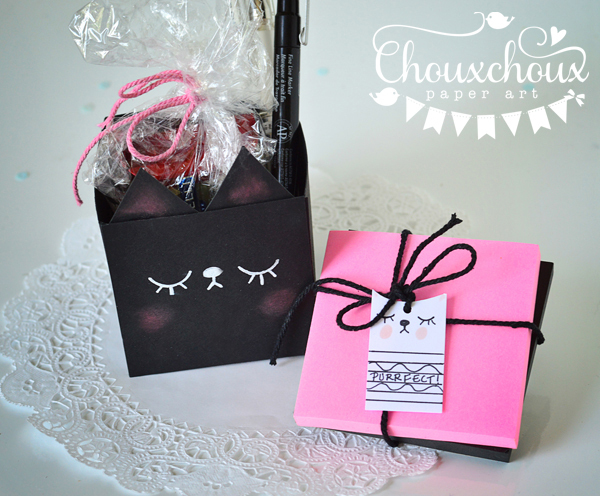 What a sweet little black cat box! Love all the how to pictures! 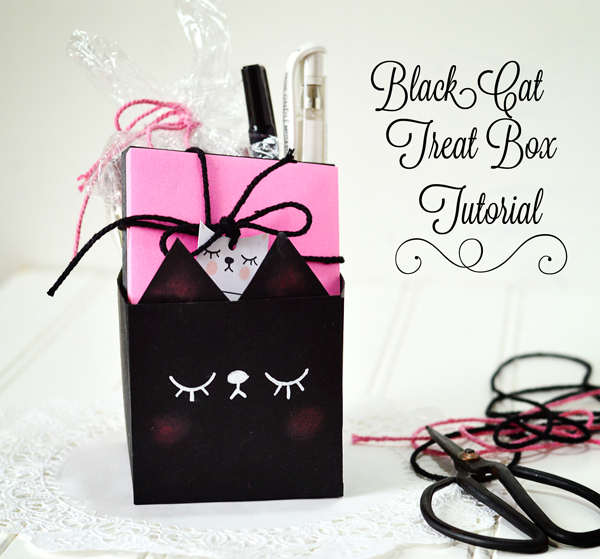 Your black cat box is so sweet and adorable! Thanks for sharing how you made it! You have so many fun projects here! This is truly adorable and I love the little tag. Have a great rest of the week. Oh that is absolutely adorable!! 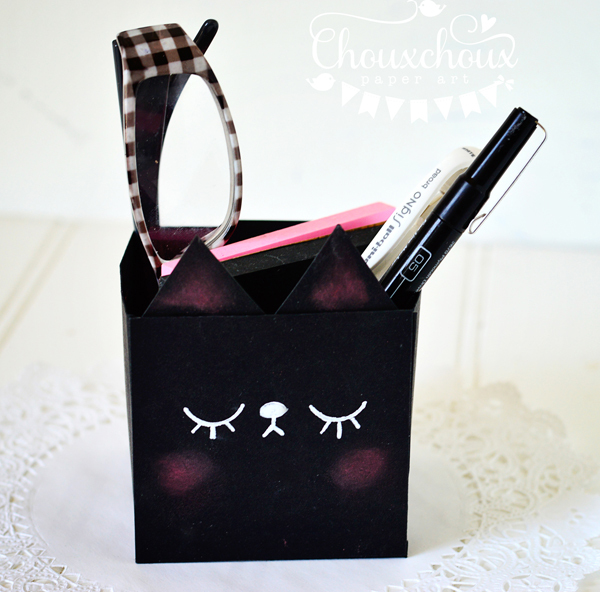 Cute cute kitty box!! How darling is this... good night, Lori, you come up with the most fabulous projects! Love this!!!! This is so adorable. A great tutorial. Thanks for leaving some comment love on my blog this week. I'm your newest follower. Amazingly cute! Such a great little project! 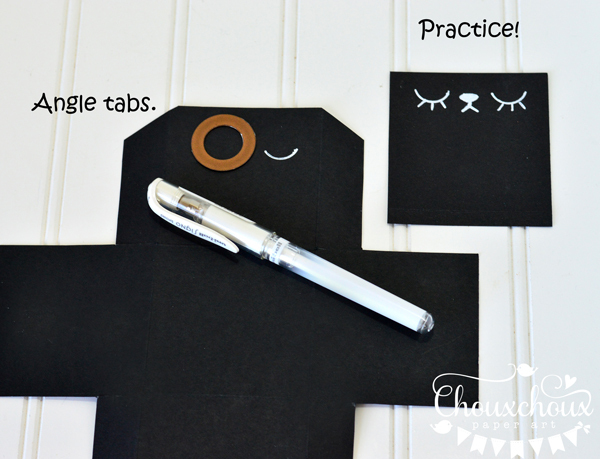 Super adorable project!.......Thanks for sharing the tutorial :) I have the same problem with glasses, 6 pairs too. Funny thing, I can be searching forever...often I have a collection on my head!! So cute ~ I have v a big smile on my face!